US security agencies have acquired even more powers under president Obama – that’s despite his pre-election pledges to make the government more open to ordinary citizens. Instead, his administration is spending record amounts to keep its secrets – and is cracking down on whistleblowers. [NaturalNews] The recent landmark ruling against drug giant GlaxoSmithKline (GSK), which as we recently reported led to a massive criminal fine of more than $3 billion and a guilty plea by the company of committing felony crimes (http://www.naturalnews.com/036499_Glaxo_whistleblower_bribery.html), was followed by an apology from GSK Vice President of Marketing “Sir” Andrew Witty for the company’s “past” failures. But according to whistleblower Gregory Thorpe, the apology is meaningless, as Witty had been working for GSK during the years when the company was proven to have been engaged in illegal activity, and was more than likely involved in it. Not only that, but Thorpe was the one punished by GSK for coming forward with the truth, a retribution that he has had to sustain for more than a decade, while Witty was recently “knighted” by the U.K. government for his supposed service to the British economy and pharmaceutical industry. 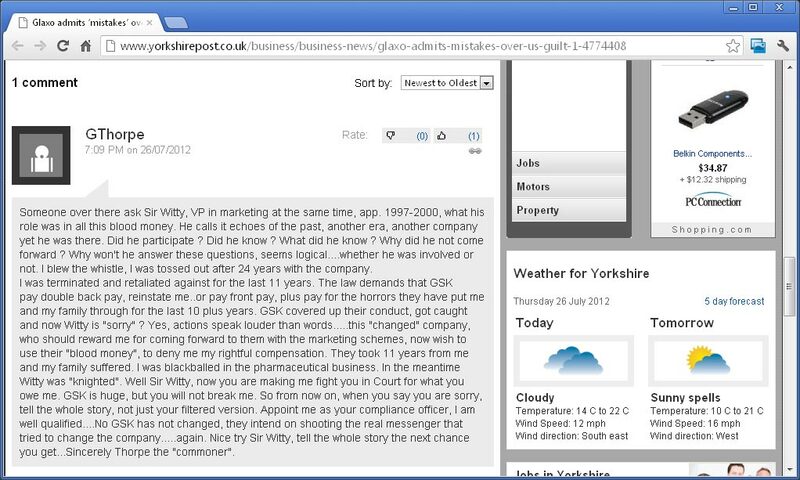 If anything, Witty’s ridiculous apology is nothing more than a lame attempt at shifting blame from himself to supposed “past” scapegoats, all the while claiming that GSK is now a new company that operates honestly. Thorpe; however, says that he and Blair Hamrick were the ones that tried to change GSK for the better by coming forward with evidence that the pharmaceutical giant was engaged in a massive criminal enterprise that involved illegally marketing drugs, bribing doctors, and drugging children. And rather than change, the corrupt-to-the-core leadership team at GSK, which included Witty, put Thorpe and his family through years of hell for exposing the truth. “[Witty] calls [the corruption] echoes of the past, another era, another company, yet he was there,” wrote Thorpe in the comment section of a recent article on the GSK scandal published by the U.K.’s Yorkshire Post (YP). Like most other mainstream reports on the GSK scandal, YP glosses over Witty’s potential involvement in the GSK scandal, and all the corresponding unanswered questions, and seems to accept his apology as valid and sufficient. Even though it represents the largest criminal penalty in pharmaceutical history, the $3 billion fine levied against GSK is mere pocket change in the bigger picture of the company’s overall financial assets and revenues. GSK openly admitted to engaging in a longstanding, organized criminal enterprise that likely cost thousands of people their lives — does a measly $3 billion fine and a phony apology really serve justice in light of this? According to the allegations originally filed by Thorpe and Hamrick against GSK, which the company has now pleaded guilty to, GSK’s entire marketing strategy involved exploiting and defrauding government health programs; illegally promoting drugs for off-label uses that included marketing them to children; and bribing doctors to promote drugs to patients that did not need them in exchange for illicit kickbacks. Since Witty held numerous high-level positions at GSK during the time in which the company was proven to have engaged in the most colossal criminal conspiracy yet unveiled in the pharmaceutical industry, he had to have, at the very least, been aware of what was going on at the company — and more than likely, he was actively involved in it. But either way, Witty did not come forward and speak up about GSK’s crimes, nor did he defend Thorpe and Hamrick in trying to turn the company around by exposing its corruption. Instead, Thorpe and Hamrick made the decision to do the right thing by themselves, and consequently suffered years of torment by pharmaceutical big-wigs like Witty that continued to hide their company’s evil deeds from the public. And now that the truth has been exposed in plain sight, Witty and his company are getting off scot-free with a canned apology and a relatively small, at least for GSK, financial penalty? 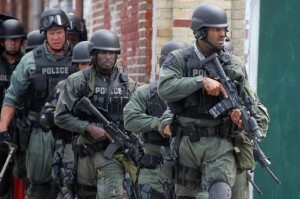 The US military is being used to protect civilian events, like the 2012 Democratic and Republican Party National Conventions in Tampa, Florida and Charlotte, North Carolina. USNORTHCOM and Leon Panetta, US Secretary of Defense, has readily admitted that US armed forces will collaborate with local law enforcement “if called upon”. In fact, more than 20,000 troops were brought home and readied for deployment within the US to assist in “civil unrest and crowd control”. The US military will prop up the US Secret Service “for operational security reasons we do not discuss the numbers of military personnel and resources that are involved. Additionally, we do not share our operational plans,” said U.S. Navy Lt. Cdr. William G. Lewis. The extent of use of military forces on civilian matters, as reported by mainstream media (MSM) have included the reallocation of hundreds of military police officers being trained to “assist local authorities” in investigation, crime scene and case building. An estimate 500 military police and dogs will be used as “law enforcement battalions”. These soldiers, having served on tours in Afghanistan, will now be activated and based out of military bases across America to help local police forces. National Guard has been witnessed in Virginia conducting “wellness checks” and patrolling residential neighborhoods as well as downtown city areas. In Southern California, the TSA have been caught patrolling train stations and bus terminals. The US Congress has given over $25 million in more funding to support unannounced TSA checkpoints. Did You Have ANY Idea this Happens at Fast Food Restaurants You Eat At? “Here is how the oil rotation went. You had four vats of oil that you cooked fries in. And boy did you cook fries. Tons of them. After about 2 days worth, the oil got too dark for fries. So we switched it over to the ones for chicken. Since it was darker, it was ok. 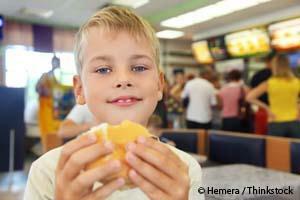 Even under the best circumstances, fast-food restaurants fail when it comes to your health. Eating the food at nearly every fast food chain (except maybe Chipotle and a few other restaurants committed to sustainable, organic suppliers) means you are likely consuming feedlot animal meat – flesh that comes from animals raised in crowded unsanitary conditions, fed massive doses of antibiotics and unnatural “frankenfeed” full of GM crops and some other truly disturbing ingredients. Plastics — for the many animals whose digestive systems need roughage to pass food through them, the CAFOs now use plastic pellets. Meat from members of the same species — CAFOs turn farm animals into cannibals. Scientific research has linked this practice to the spread of both mad cow disease and avian bird flu. Manure and animal feces– this can include cattle manure, swine waste, and poultry waste. It also includes wood, sand, rocks, dirt, sawdust and other non-food substances. Roxarsone — more commonly known as arsenic, which until last year was put into chicken and pig feed to control intestinal parasites that might cause them to eat less and grow slower. Chicken litter (containing the arsenic that passes through the birds) is also collected from chicken CAFOs and fed to feedlot cattle, for some apparent reason that defies common sense. Animal byproducts — categorized as “animal protein products,” this includes rendered feathers, hair, skin, hooves, blood, internal organs, intestines, beaks and bones, dead horses, euthanized cats and dogs, and road kill. You are currently browsing the archives for the Whistleblowers category.